Hello Dealsnloot Readers,Zaggle app is a new app which is offering awesome cashback offers & best deals whenever you want to dine out in the restaurant near you. 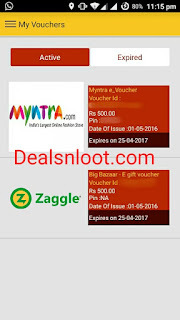 Zaggle app has organised a refer and earn offer through which you can earn gift voucher for websites like Dominos, jabing, pizzahut, myntra etc. You will get Rs 50 for signup and Rs 50 for referring each friend. This is going to be a big block-buster. Hurry up and avail this offer before they change there terms and conditions. 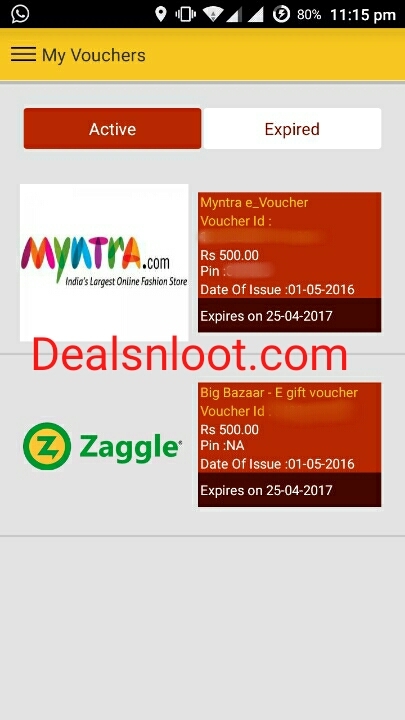 Just follow my steps and avail the offer.So Grab This Loot Offer And Get Unlimited Gift Cards Loot. Update :- Due To Heavy Load App Down Many Time.So Try Again And Again To Open App and Get Otp Related problem.But Currently Work Fine. 7) That’s it. Your account with Rs 50 for signup. 1) Click on Invite And Earn. 2) Share your referral code and earn Rs 50 per referral. 3) Hurry up and loot this before it gets expired. 1) Click on Menu then Redeem as Voucher. 2) Select the voucher which you want and then select denomination. 3) You will get it instantly. 1. 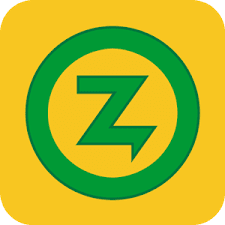 Zaggle Cashback: Find Restaurants and Cafes near you with awesome cashback offers & best deals whenever you want to dine out, eat with friends and party hard! Your movie bills, Mobile free recharges and Flipkart/Amazon purchases are on us! a. Redeem your favourite e commerce vouchers from Flipkart, Amazon, Jabong, Myntra & many more. b. Watch your favourite movies using Zaggle BOMB e card (VISA) at PVR, INOX and many more. e. Shop at Fashion destinations using e vouchers’ of Shoppers stop, Lifestyle, Westside, Vero Moda & more. f. Shop at Jewellery heavens using e vouchers of Tanishq, D’Damas, TBZ, Gitanjali, Nakshatra, Asmi, Gili, Diya & many more. 4) Rs 250 Pizza Hut Voucher for 250 points and much more.